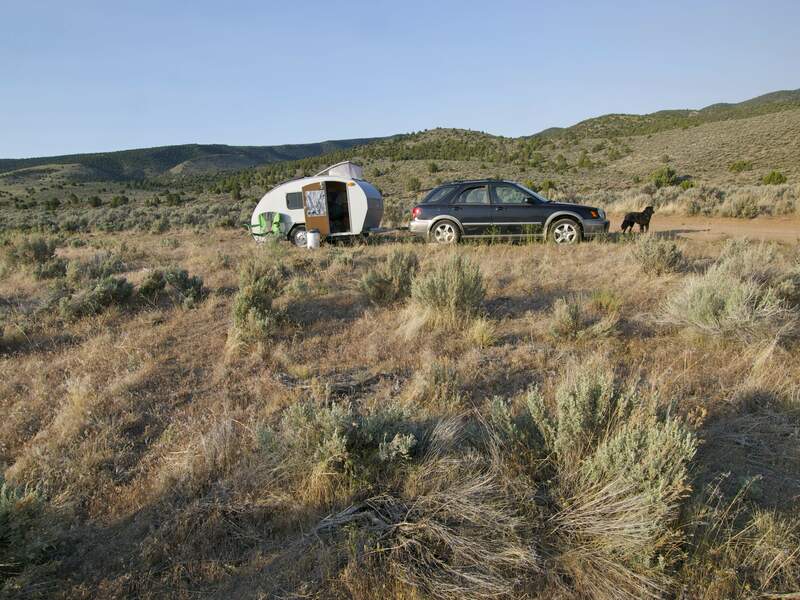 ← Boondocking Part 2: Finding a Sweet Free Campsite! 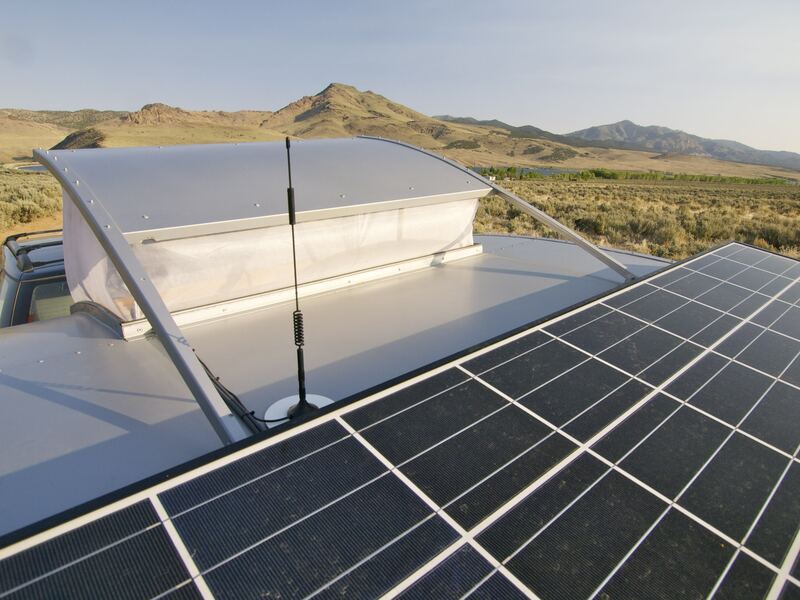 Last week at the end of my post about installing a solar panel on the roof of my Teardrop, I mentioned my next project was to solve my internet connection problem. I use my Verizon/ Samsung Stratosphere phone as a mobile hotspot, but I’ve been having a hard time finding descent cell service on the road. I got a bunch of emails from readers with a lot of really great ideas (confession: technology is not my strong suit so input is always welcome!). One person suggested I contact Wilson Electronics, an all-American company that manufactures cell phone signal boosting devices. 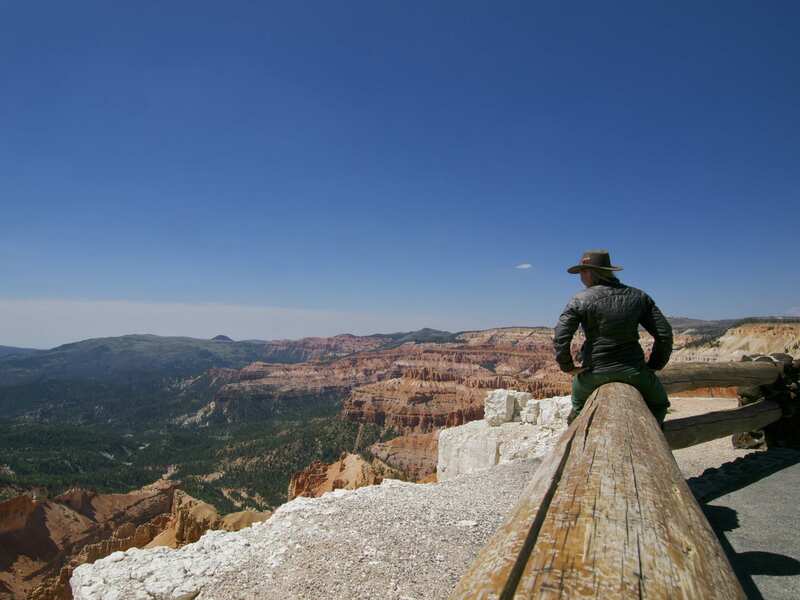 When I looked up Wilson, I was surprised to find they’re based in southwest Utah, one of my favorite places on Earth. I sent a brief email to info@wilsonelectronics.com just saying I was a travel writer living and working on the road, looking to solve my internet connection problems. 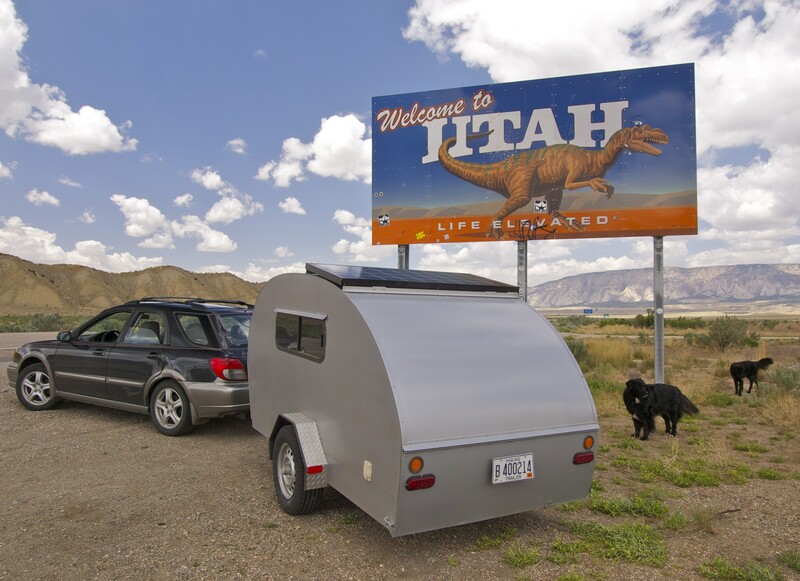 I also mentioned that if they were in need of road testers, I’d be happy to stop by St. George and bring any of their products along on my journey from Utah, to California, to Alaska. Within hours I got an email back from somebody with Wilson’s PR firm who said if I stopped by the office St. George, they’d hook me up with everything I could possibly need, for free! At the time I was in Laramie, Wyoming, a 10-hour drive via interstates. I told them I’d be in St. George in four days. 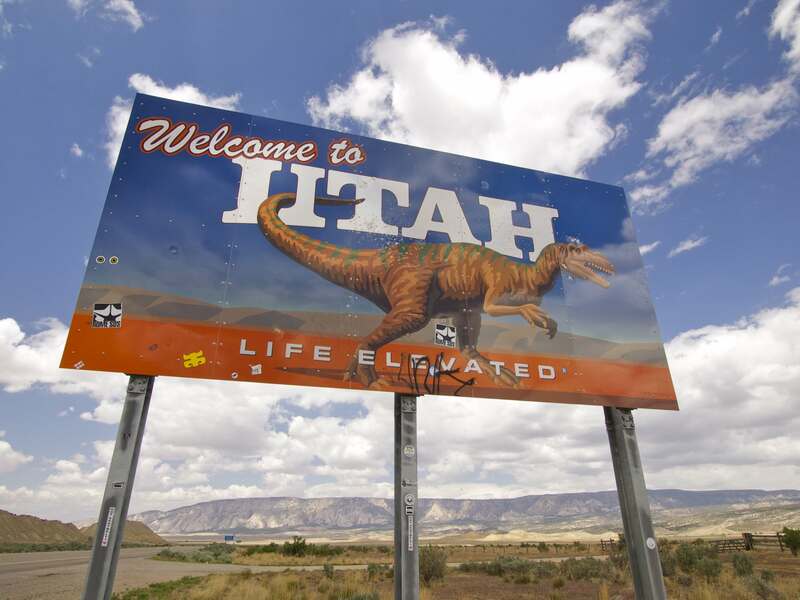 Back to Utah, via the scenic route, of course! Yesterday morning, I showed up in St. George and a representative from Wilson met me in the parking lot, curious to see my Teardrop. I ended up spending most of the day there, meeting the team, touring the assembly line (all components of all Wilson products are made right there in St. George), having lunch, and hanging out while master wire-hider Mike installed not one but two mobile boosters in my rig: a Sleek 4G-V in my car and a dual-band mobile wireless unit in the Teardrop. I’ve had the boosters for less than 24-hours so this is not a fully informed review, but yesterday I drove aways up Beaver Creek Canyon, a deep narrow defile, and when my phone was out of the Sleek booster cradle my phone alternated between the dreaded “searching for service” and one bar and when it was in the Sleek cradle, I had full service. Right now I’m working from BLM land in the middle of nowhere, western Utah. When the wireless booster unit in the Teardrop is unplugged (I run it off my solar panel but it also comes with a car charger) I have no service and when it’s on I have full bars! 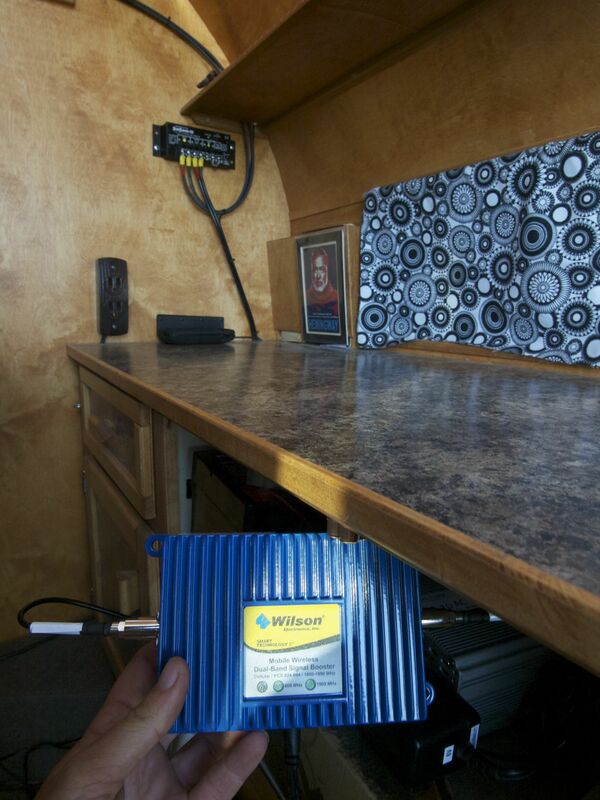 The mobile wireless booster has a very small footprint- just this blue box, the black slimline antenna on the wall and the antenna on the roof. Now if I can just get Verizon to tell my why my phone keeps displaying this annoying and frustratingly mysterious “Could not connect to AM Server” error message and I’ll be all set! Good customer service is hard to find, unless you’re working with Wilson! My office- BLM land in western Utah! Full signal! 9 Responses to Back to Utah & A Big Thank You To Wilson Electronics! Wow, you’ve got it all, girl! Got that company bookmarked for future needs. Thanks Mary! Wow, your coolness factor just went up 10-fold ! The teardrop is totally awesome, and your newly reviewed Wilson products most certainly have me sold ! Think I’m going to go and check them out. You are such a wonderful role model for young girls and women everywhere! I will mention Wilson products to everyone I know. I’m so glad I found your site. Your high-tech capabilities on your teardrop are awesome!! A signal even in the boondocks – fantastic!